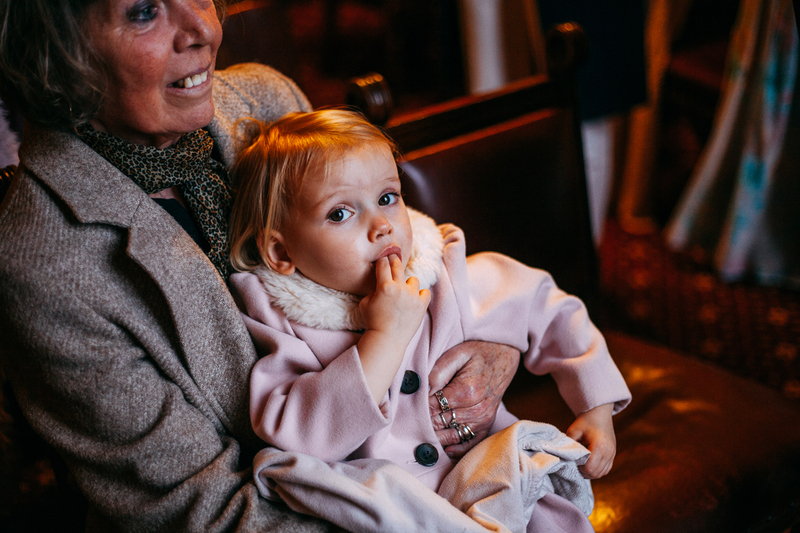 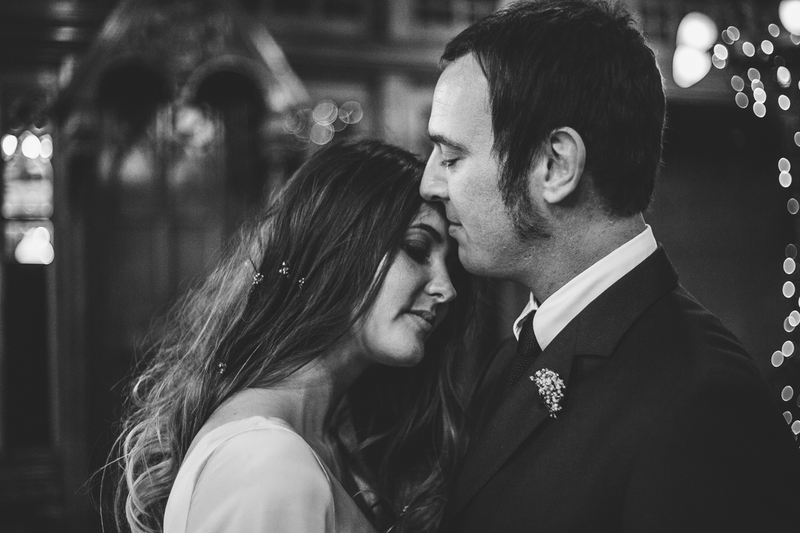 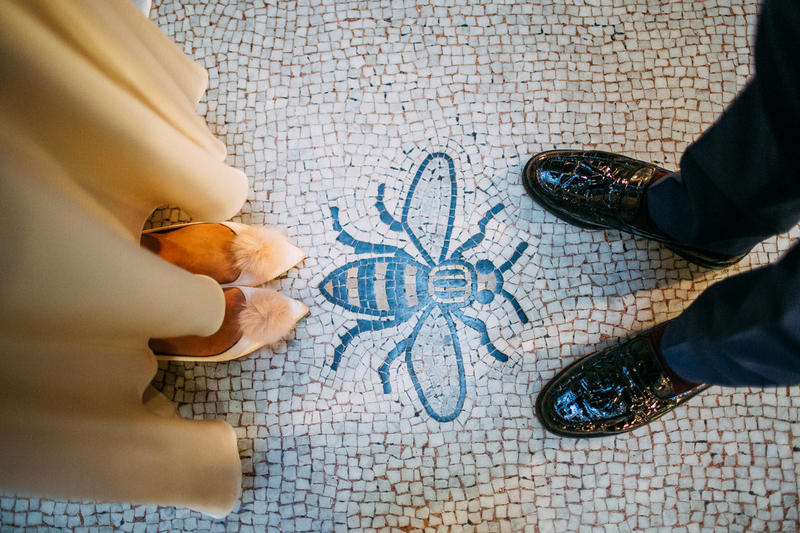 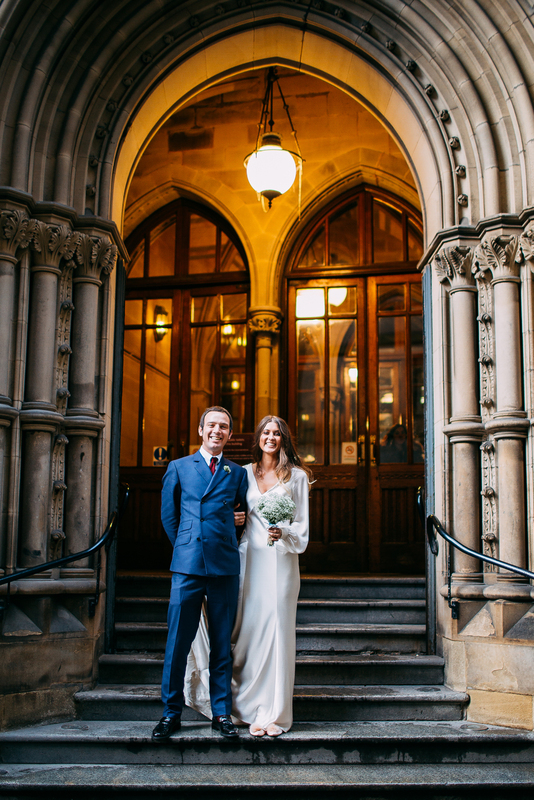 I love working as a Manchester wedding photographer. 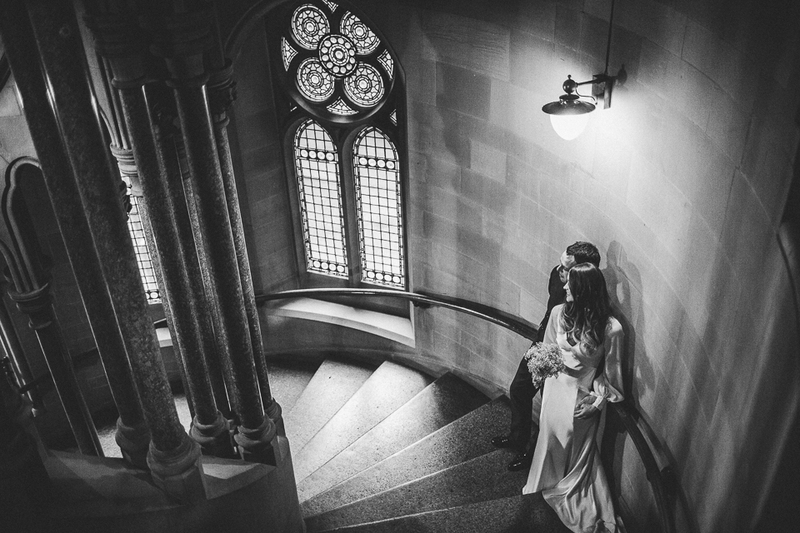 The city has so much to offer for couples getting married. 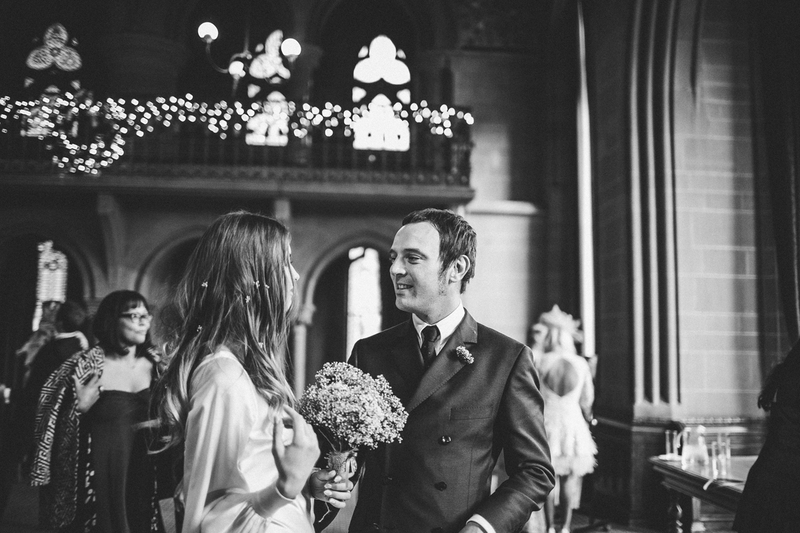 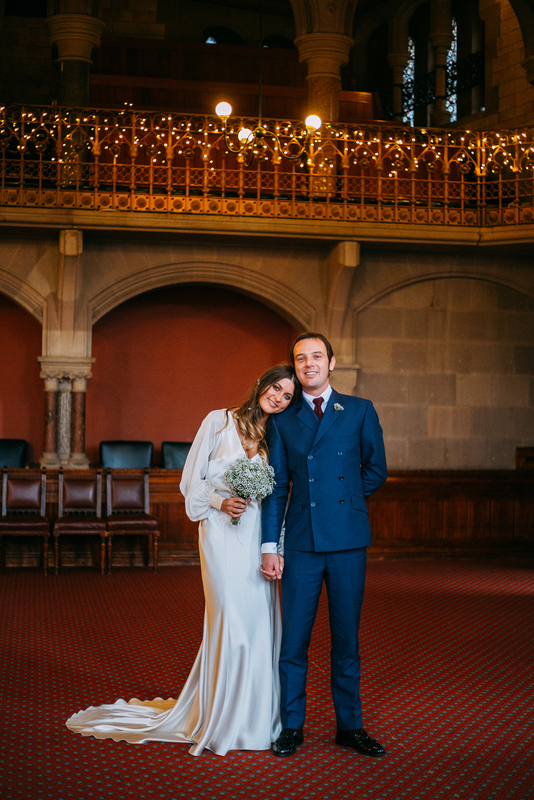 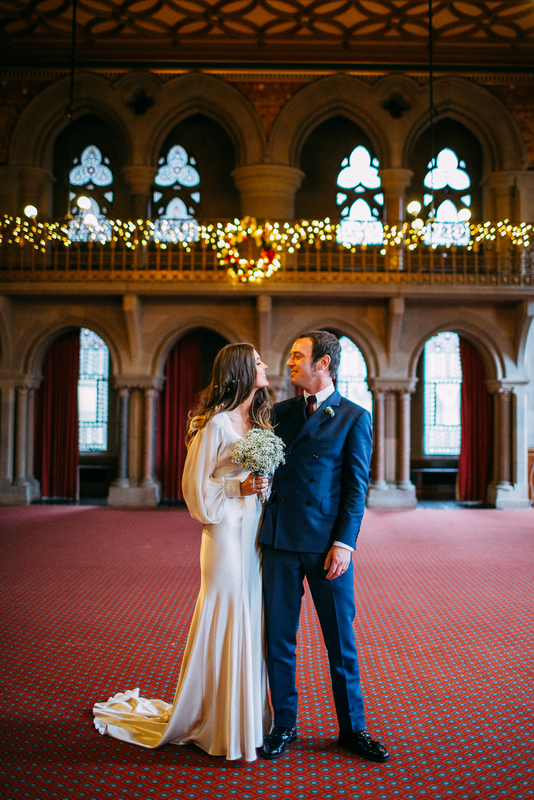 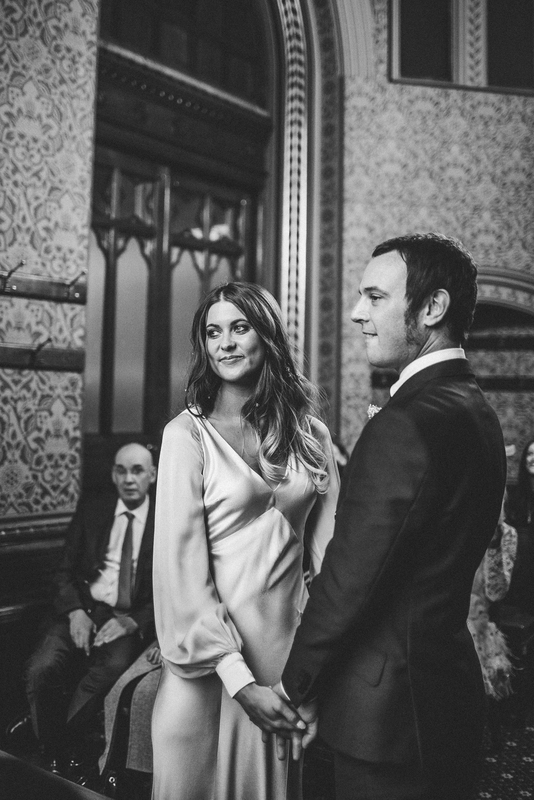 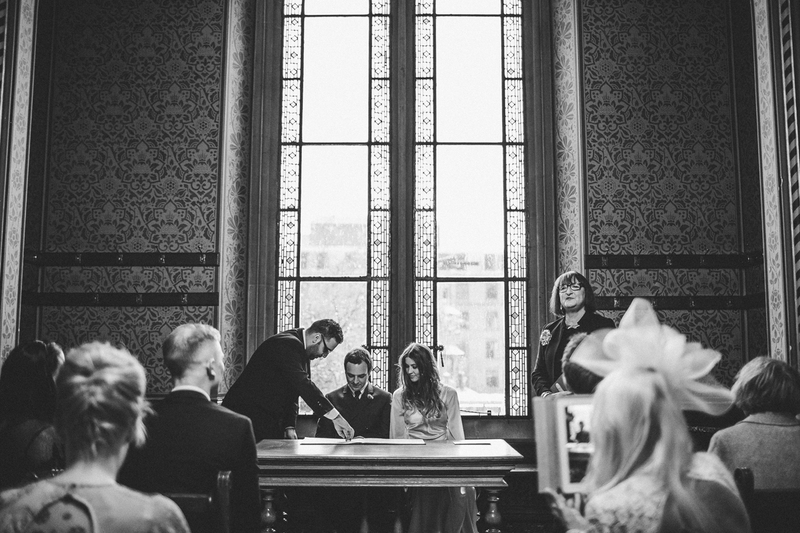 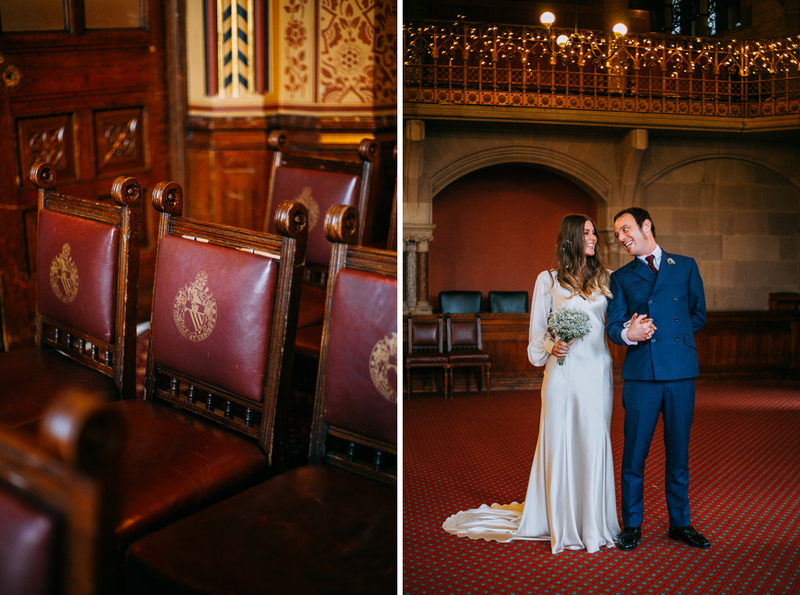 Kerry and Nick got in touch asking as they’d just booked their ceremony at one of my favourite venues, Manchester Town Hall. 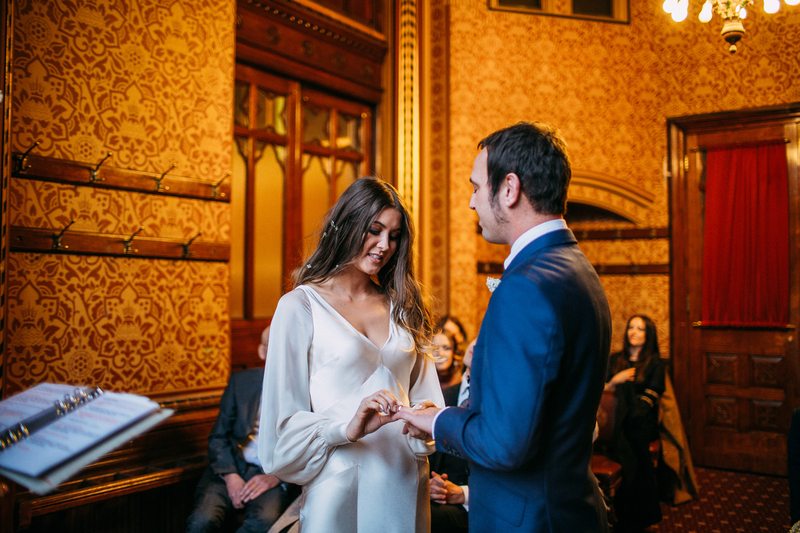 Luckily I was and I couldn’t wait for their big day. 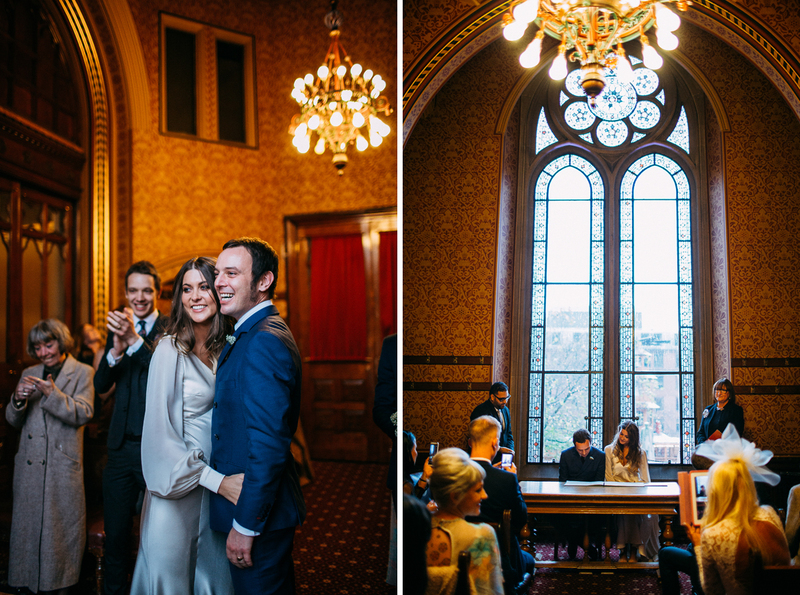 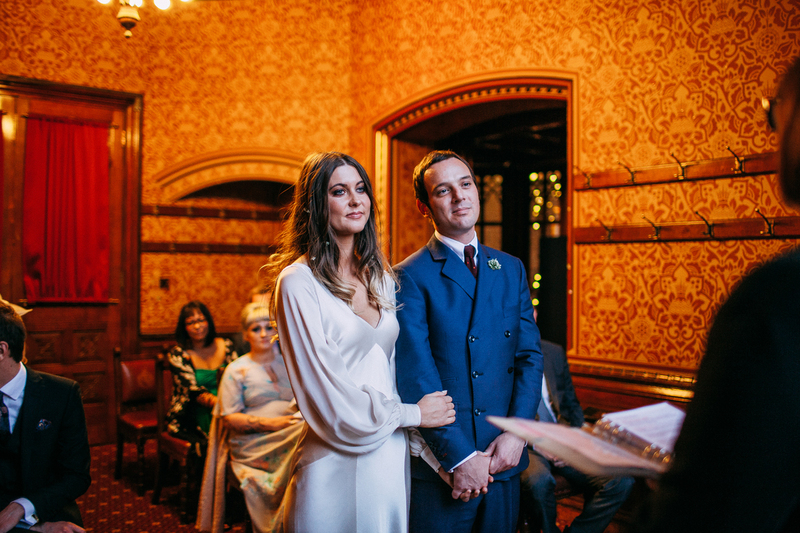 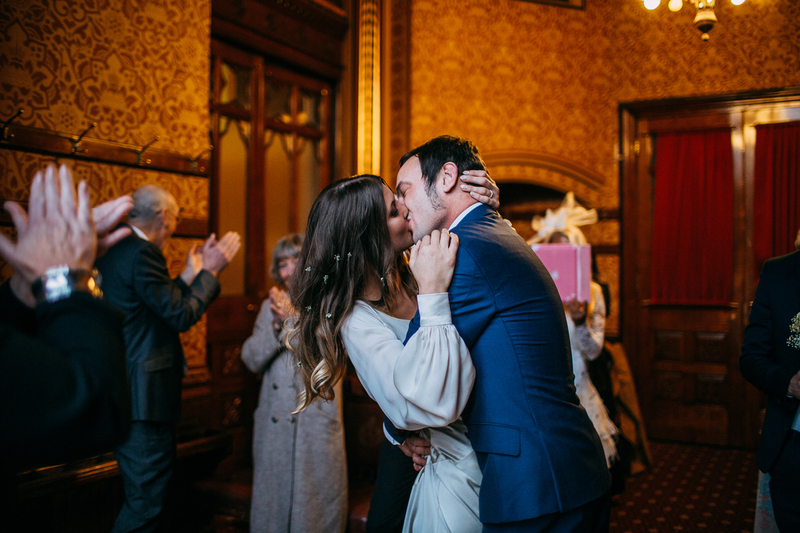 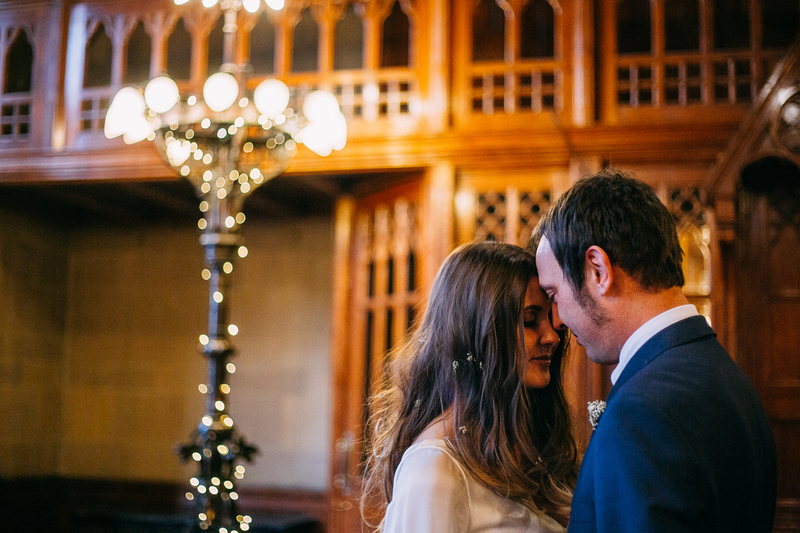 Their wedding was a beautiful intimate ceremony situated in the Small Ante Room of the Town Hall. 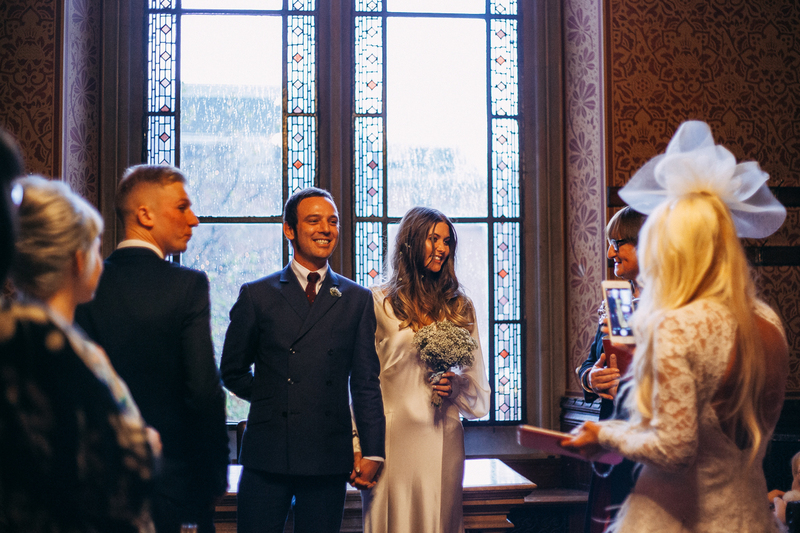 They were joined by 20 of their closest family and friends to witness their vows. 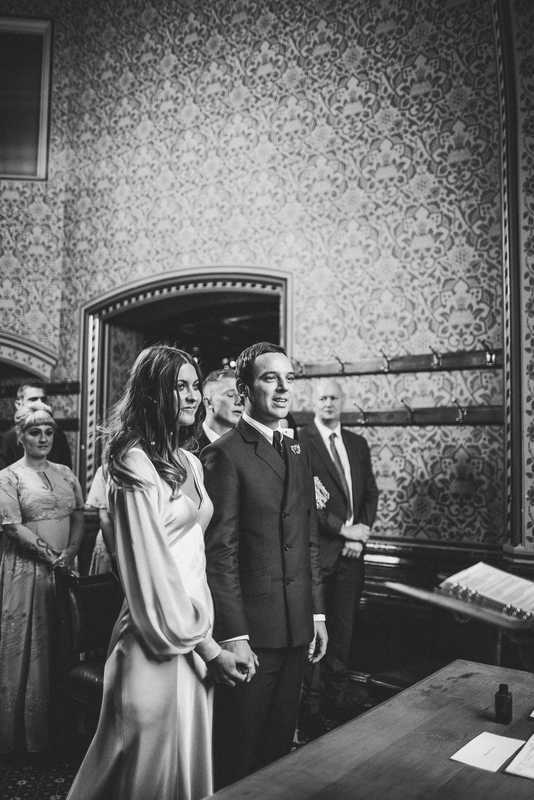 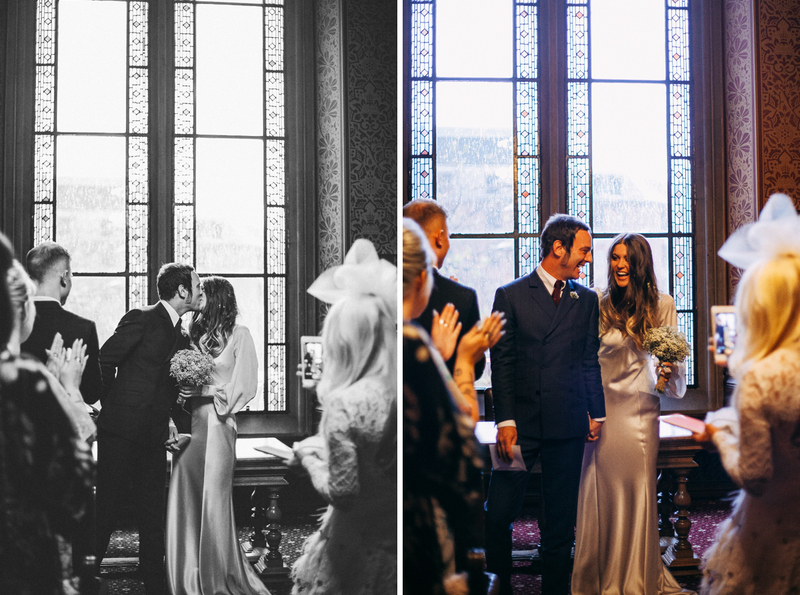 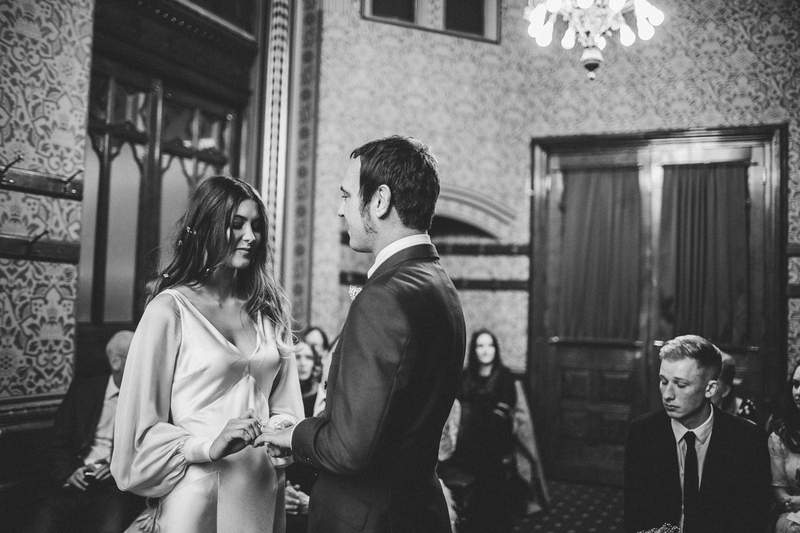 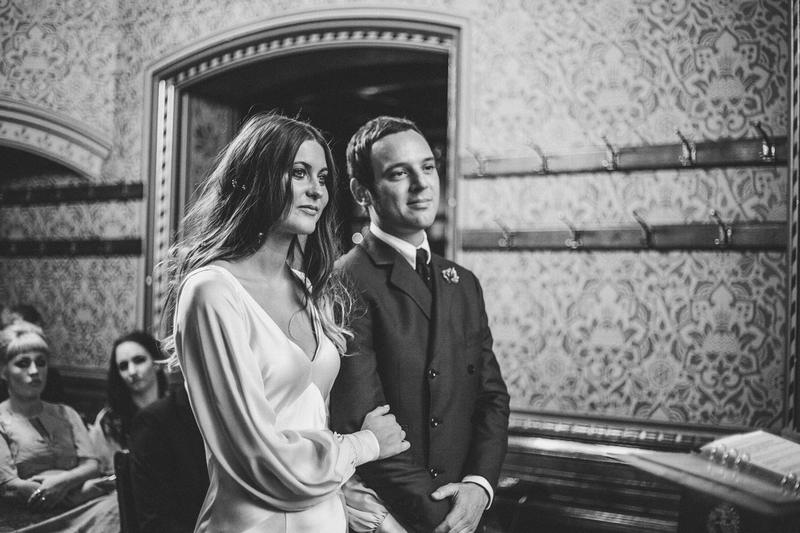 As guests were asked to stand, the doors opened and the couple walked in together. 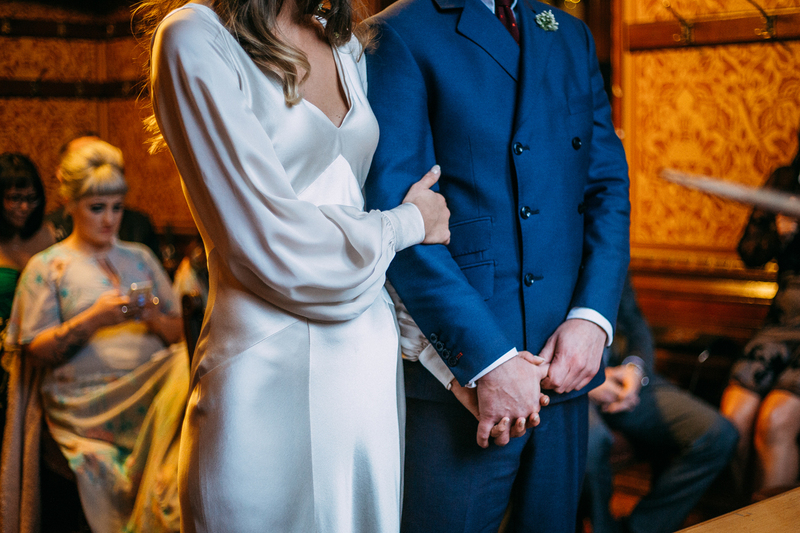 They both looked amazing and I absolutely loved their style! 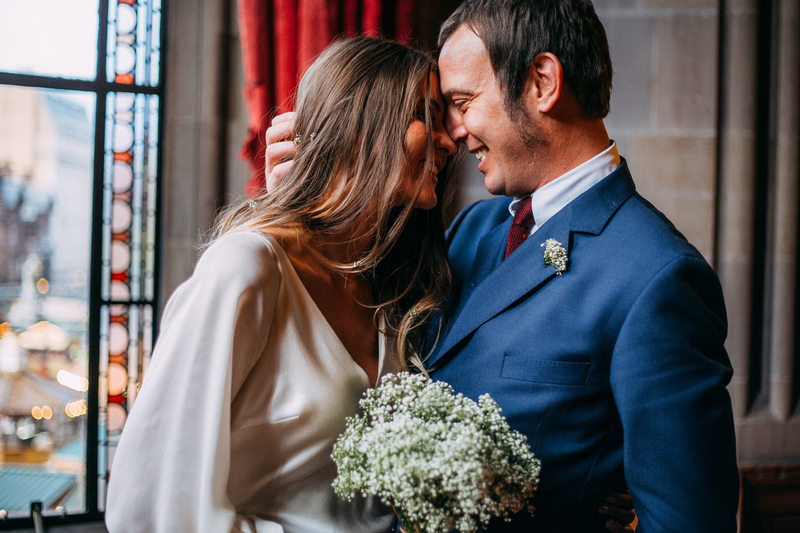 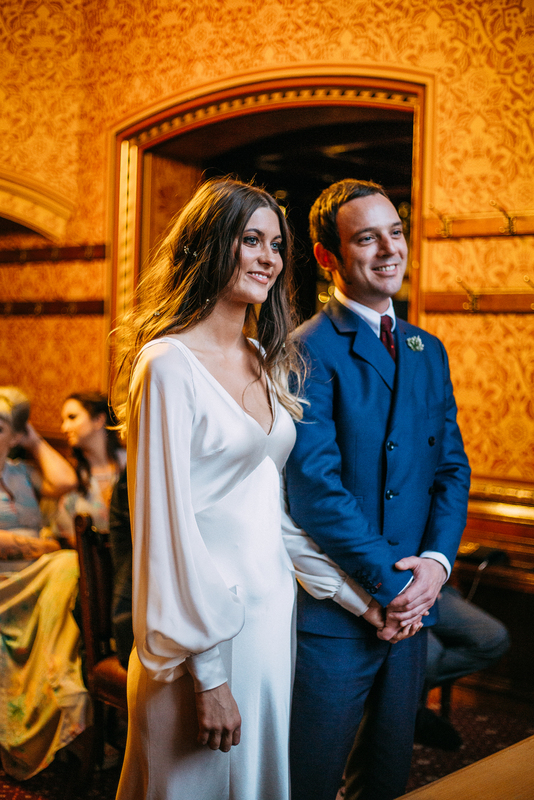 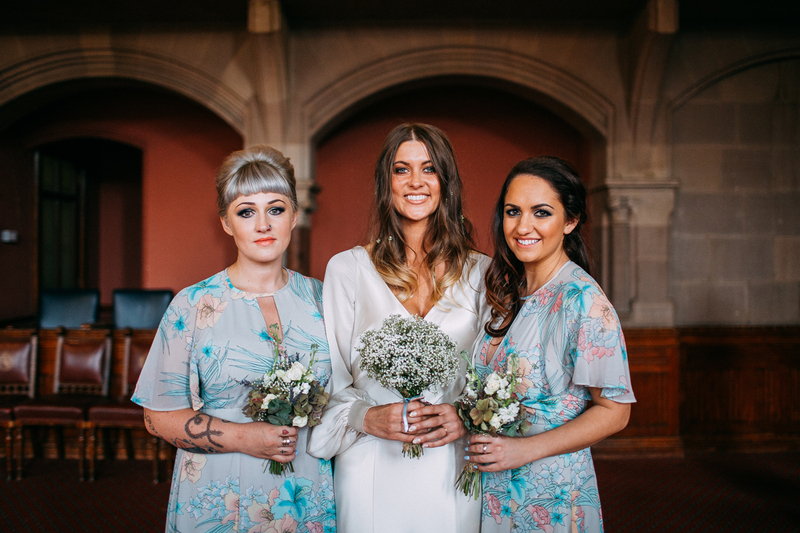 Kerry looked very bohemian, wearing a Rolling in Roses silk dress with long puff sleeves along with some silk ivory flats and pieces of Gypsophila styled into her curls. 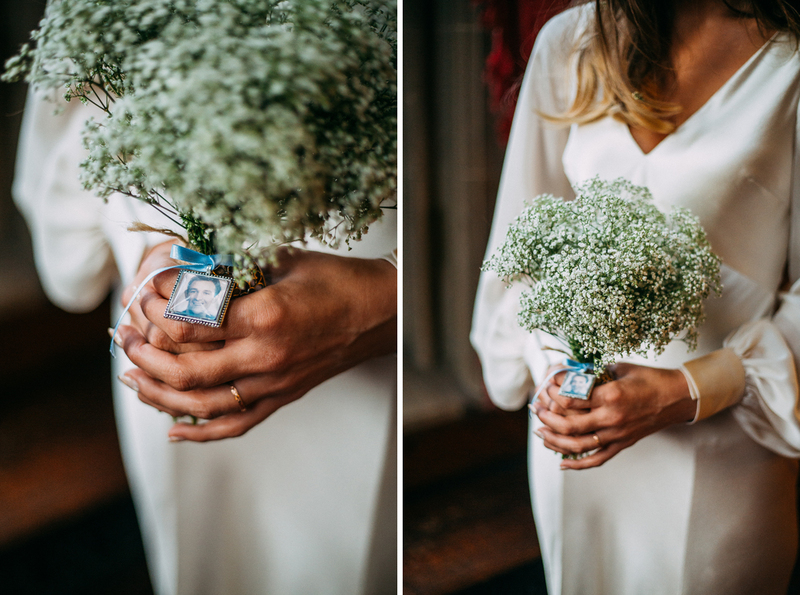 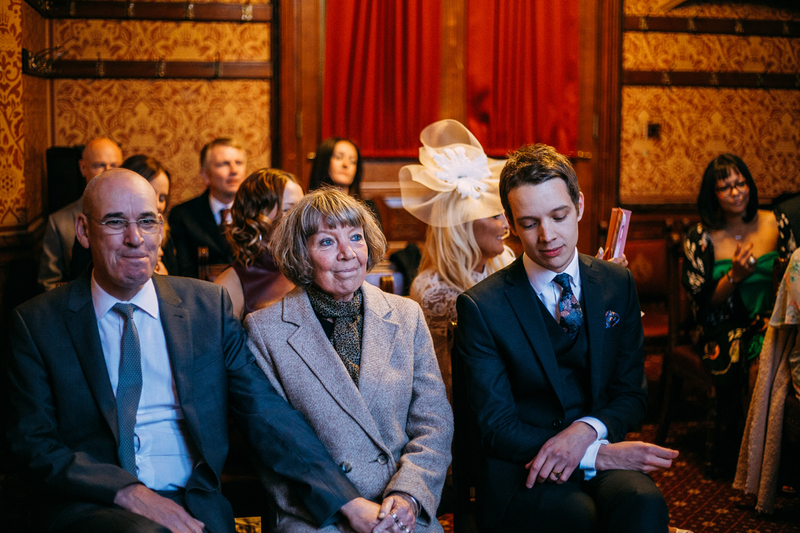 She also held a Gypsophila bouquet with a precious photo of her Grandad attached. 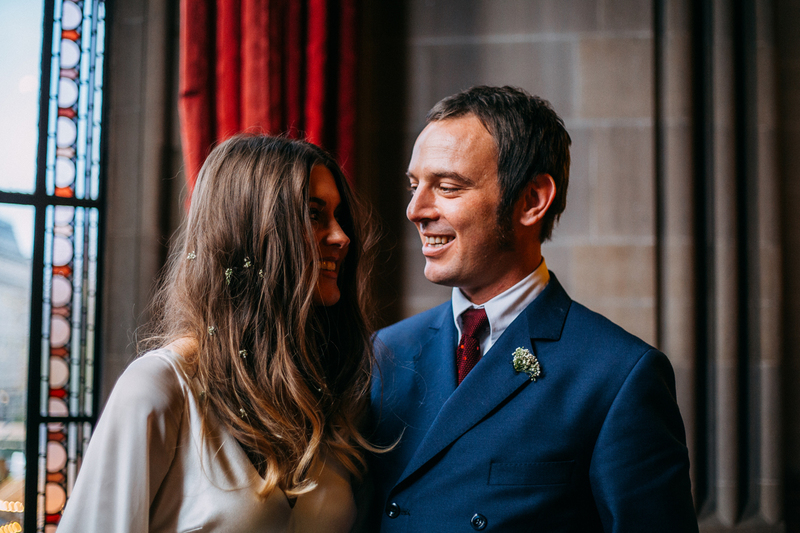 Nick wore a tailored 60s inspired blue suit, red tie and black loafers which looked perfect for his mod-look. 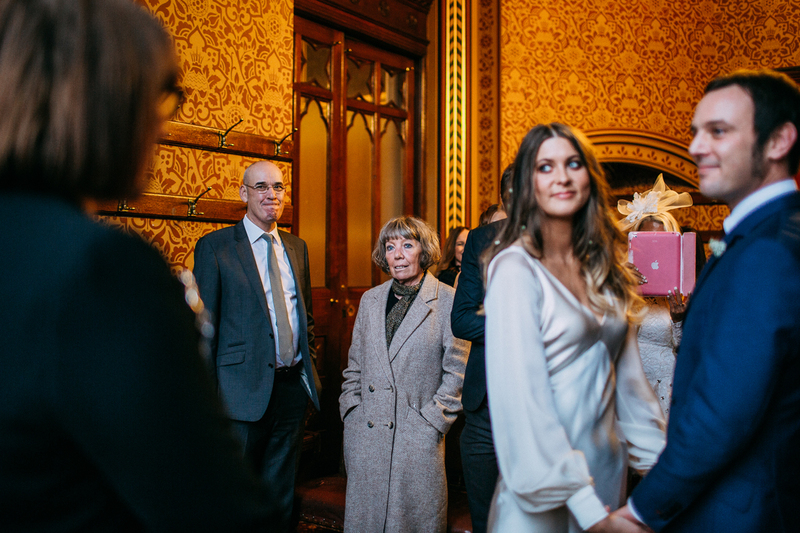 After their ceremony, we headed into the larger room next door and took a few family photos along with bridesmaids and ushers. 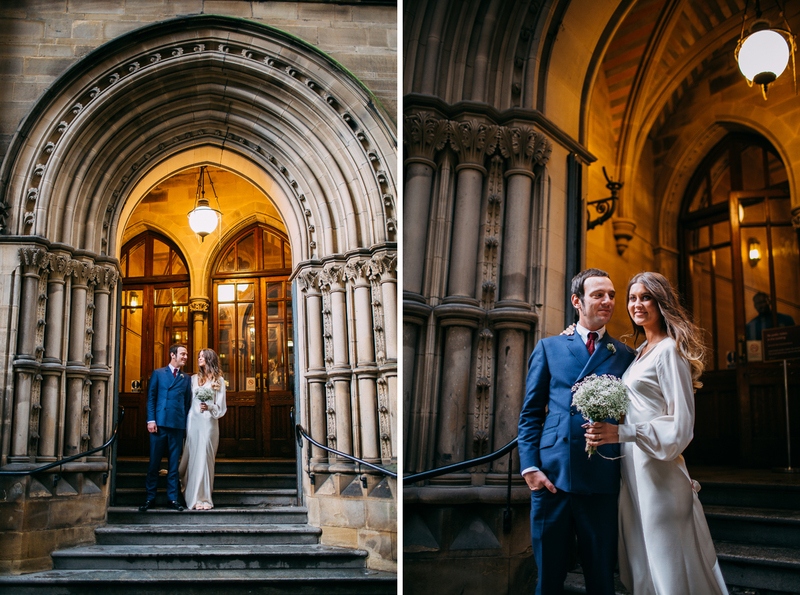 As guests left the Town Hall, I took Kerry & Nick off for a few photos around the stunning rooms and hallways of the Town Hall. 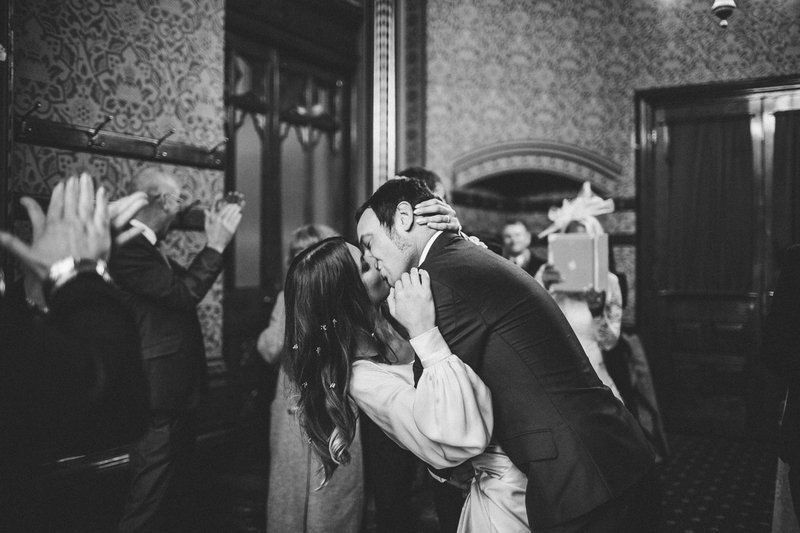 They were complete naturals in front of the camera and I could tell that Nick was absolutely besotted with Kerry. 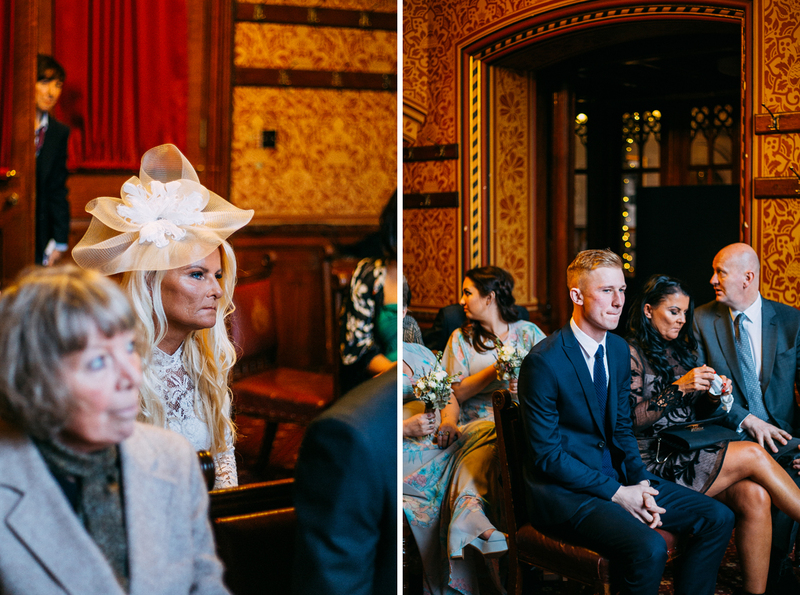 Here are some of my favourite shots from the day.. 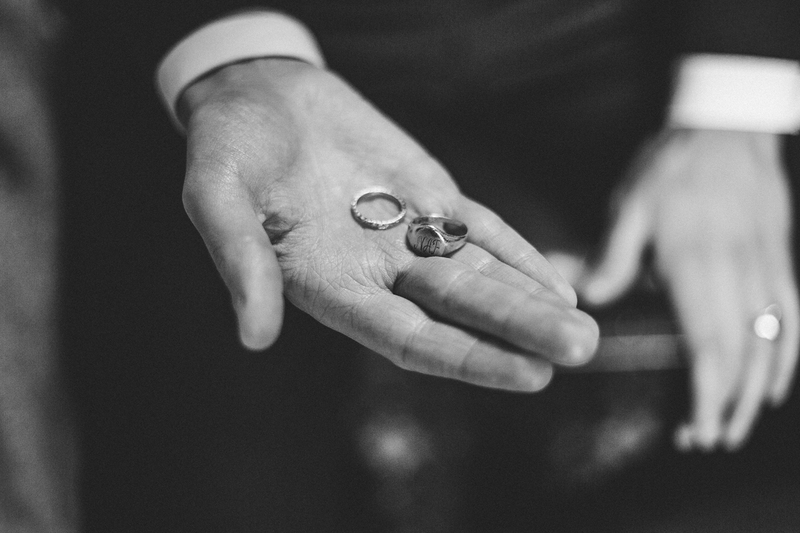 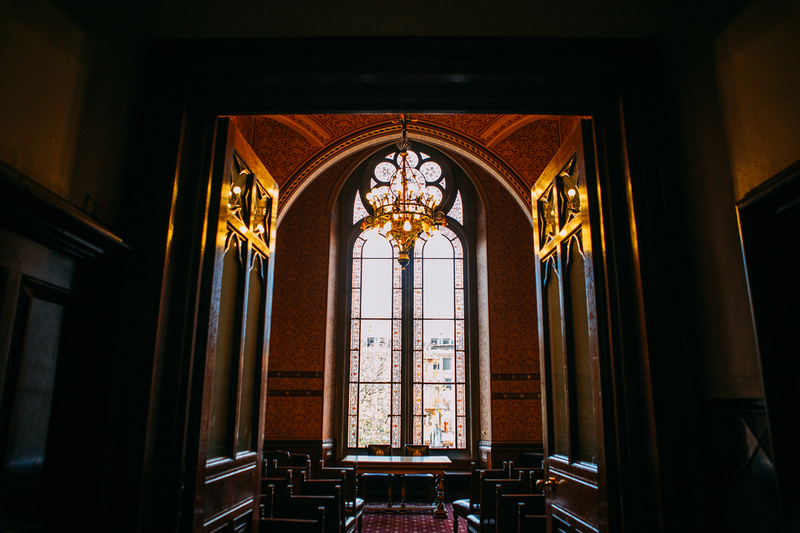 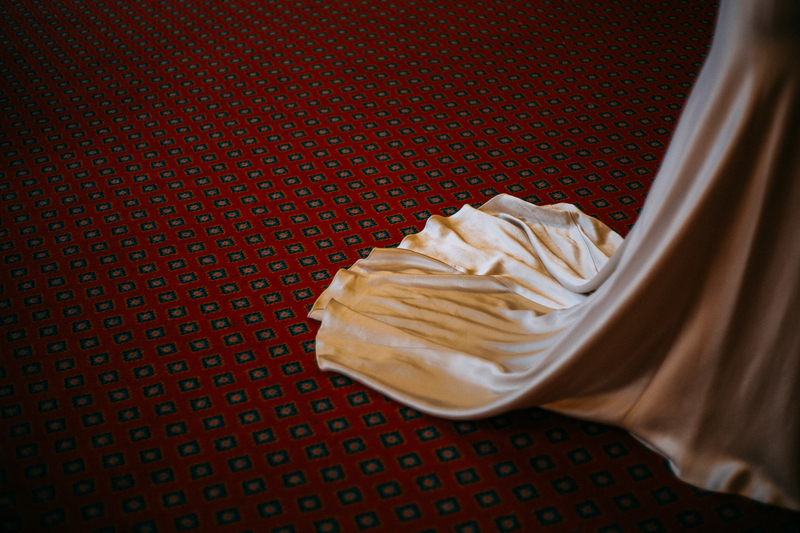 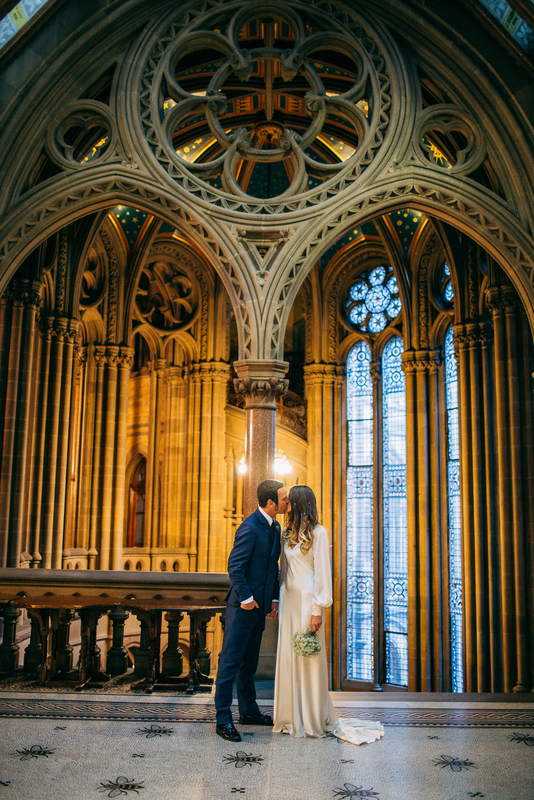 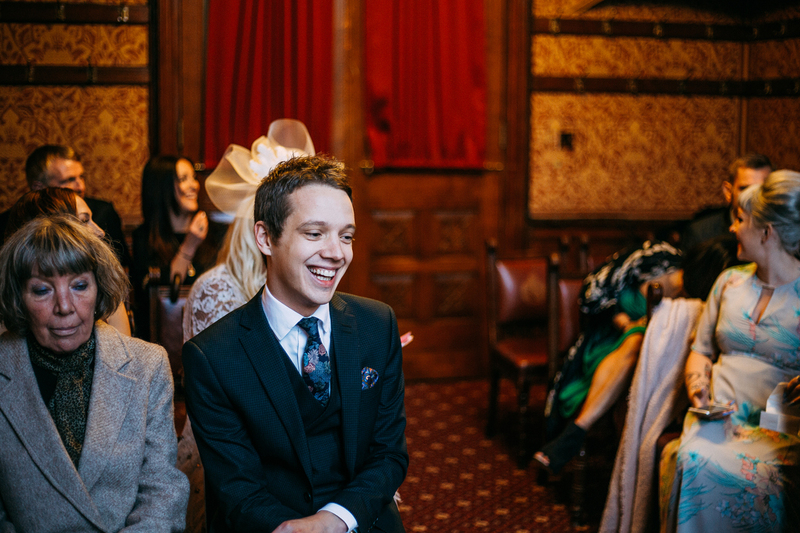 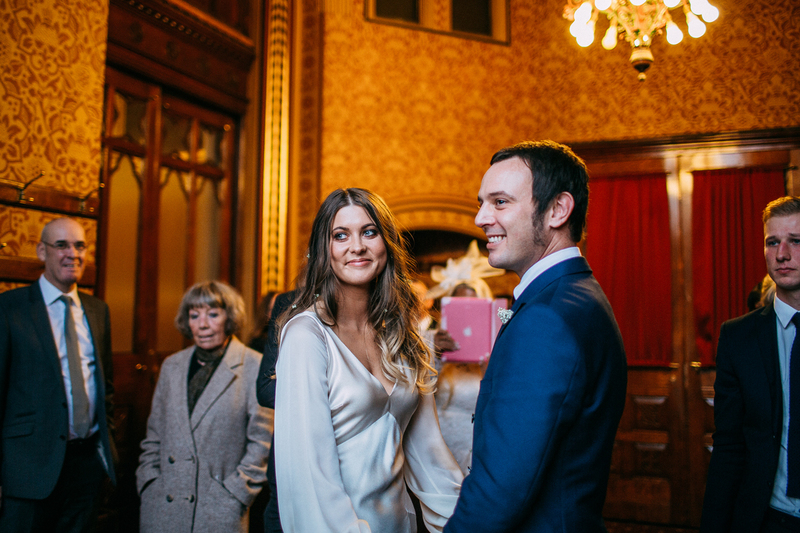 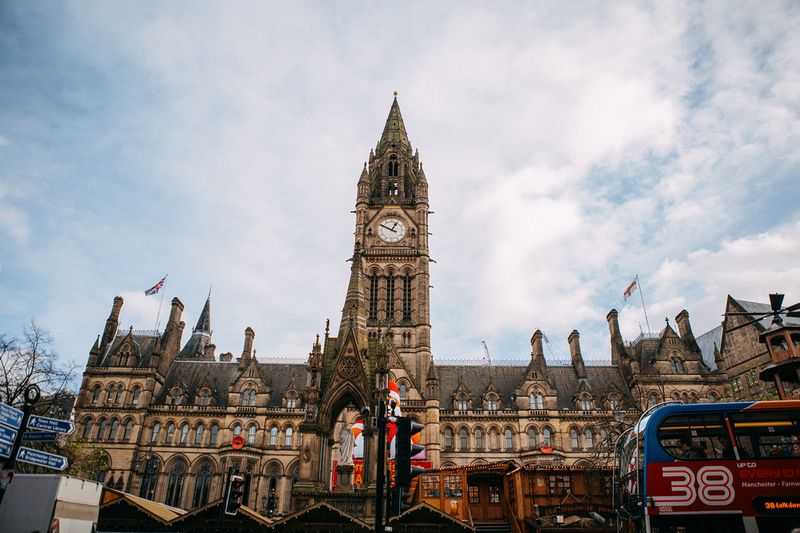 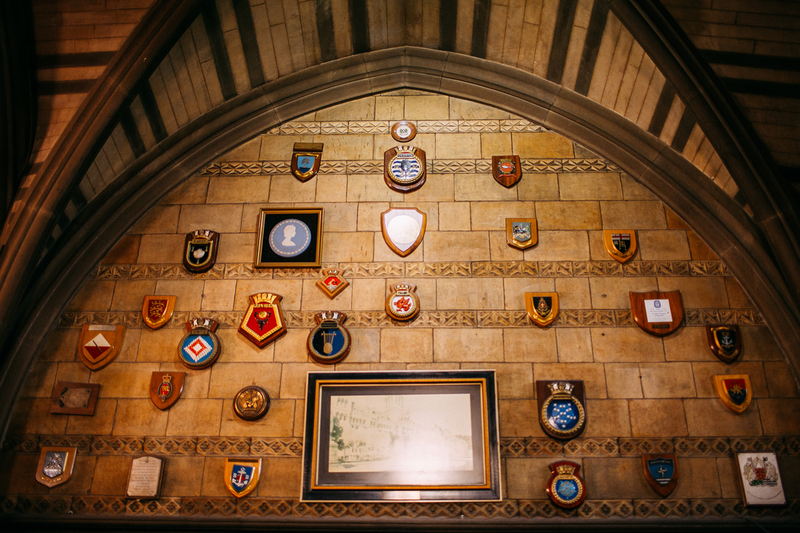 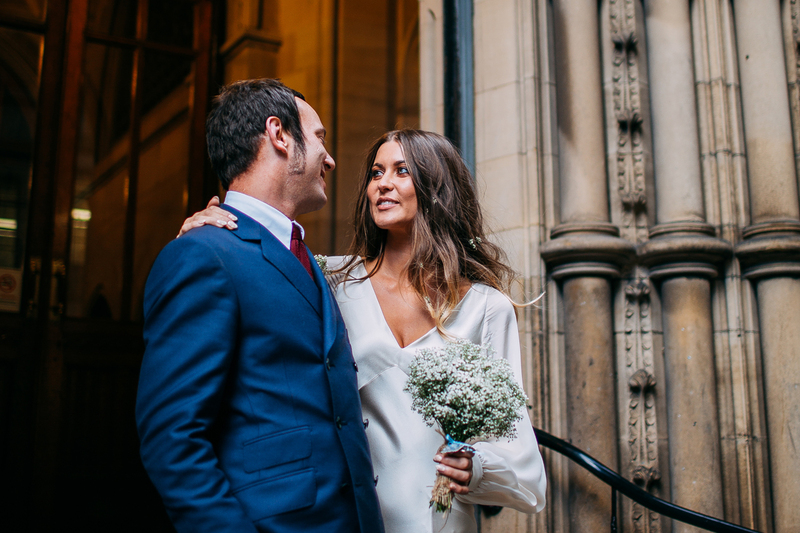 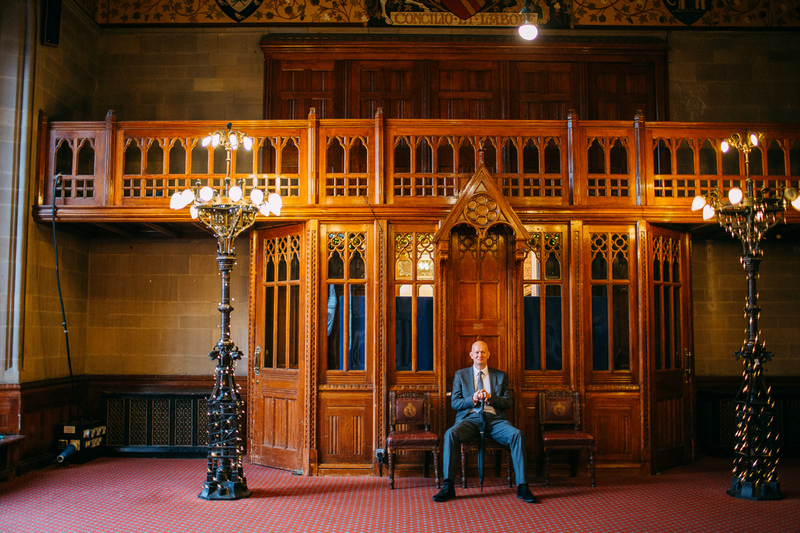 If you’re looking for a photographer or planning a wedding at Manchester Town Hall, do get in touch via my contact page to request a brochure.